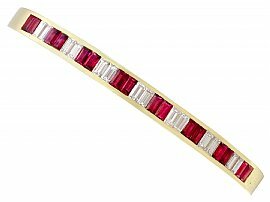 This exceptional, fine and impressive ruby and diamond bangle has been crafted in 18 ct yellow gold. 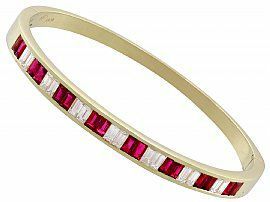 The bangle has a simple setting ornamented with eight pairs of baguette cut rubies channel set alternately between six pairs of baguette cut diamonds around the anterior face of the bangle. 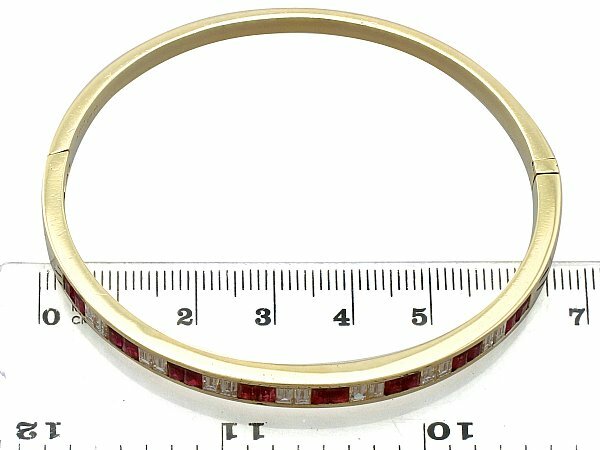 The sides of the setting and posterior portion of the bangle are plain and unembellished. 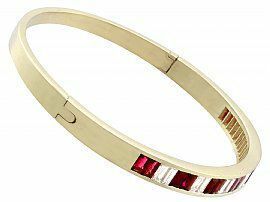 The hinged bangle secures with an integrated push fit clasp to one side. 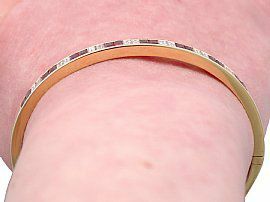 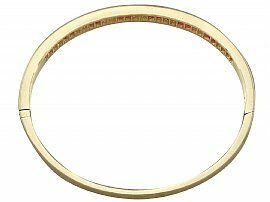 The bangle is hallmarked to the interior with the Italian hallmarks, which include 18 ct gold fineness mark (750), The Italy mark (star), the individual maker's ID number (542) and town mark for Napoli (NA). 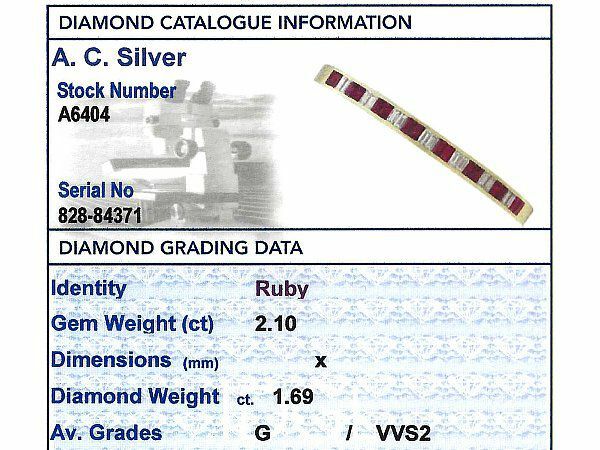 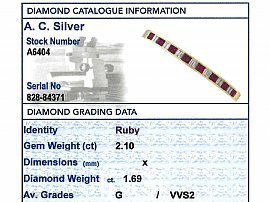 This 18 ct gold bangle is supplied with an independent diamond grading report card. 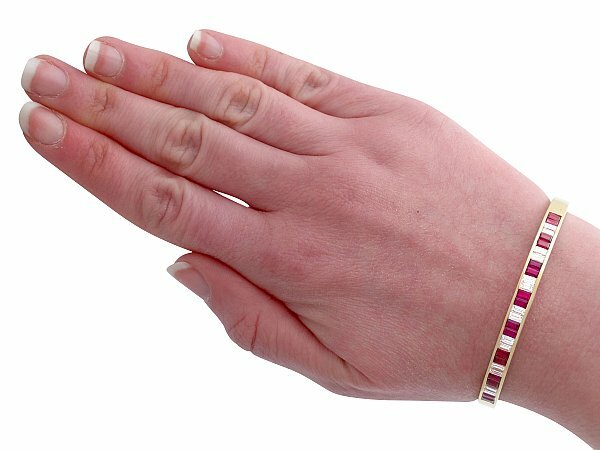 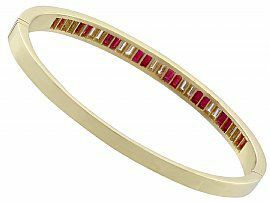 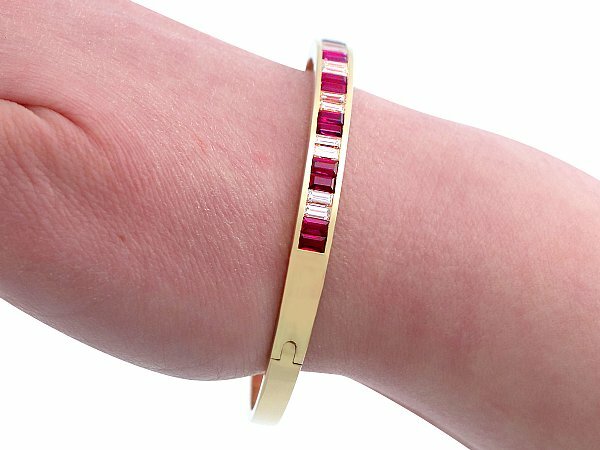 This impressive bangle is exceptional quality set with rubies and very well colour matched, very high colour graded diamonds. 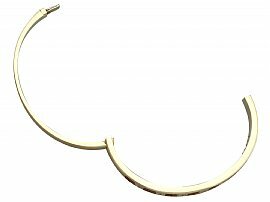 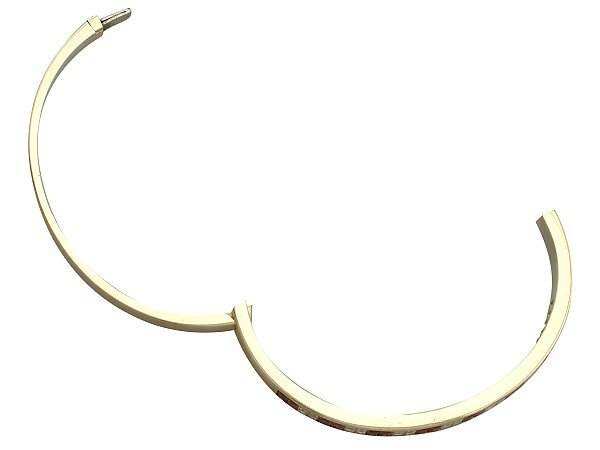 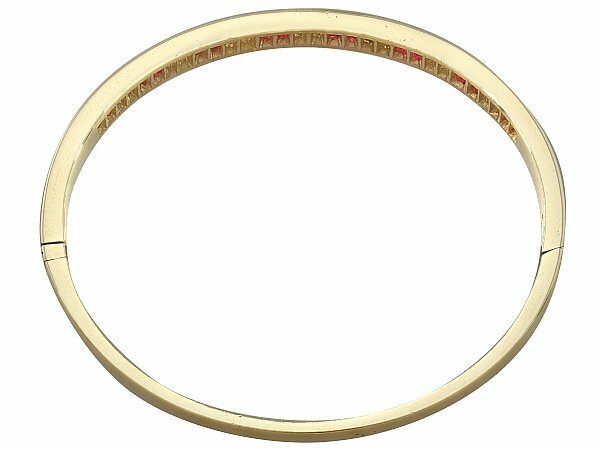 The bangle is an exceptional gauge of gold and is in excellent condition with clear Italian hallmarks to the interior of the shank. 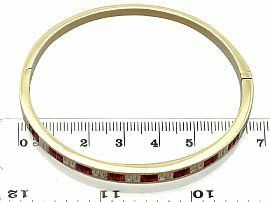 Exterior diameter (major axis) 6.7cm/2.63"
Interior diameter (major axis) 6.1cm/2.40"
Exterior diameter (minor axis) 5.8cm/2.28"
Interior diameter (minor axis) 5.3cm/ 2.08"